1973 When a classic building in Detroit is vacated, the result often follows a sad sequence of pillage, decay, and eventual razing. However, there are some happy exceptions. The former downtown firehouse headquarters, at Washington Boulevard and West Larned, is one. 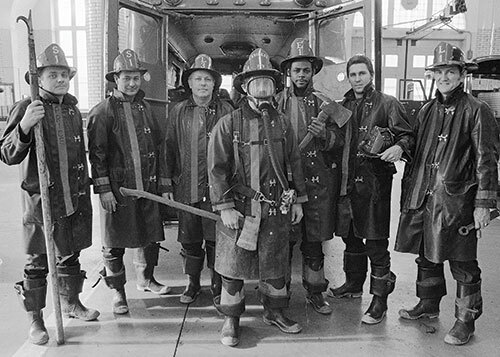 Here, firefighters pose at the site 40 years ago. The 1929 neoclassical structure, abandoned when the headquarters moved into the old MGM Grand Detroit building, is set for renovation as a boutique hotel — a venture between Southfield developer Walter Cohen and Chicago-based Aparium Hotel Group. The Detroit City Council green-lighted the sale this spring, but minor details with the developer and city still need to be ironed out before the makeover of the 5-story building proceeds, says Mike Kitchen, director of acquisitions for Aparium. “This is just par for the course; I don’t see any red flags,” he says. “Ideally, we can start work in 2014 and open in time for the 2015 auto show at Cobo.” Kitchen says the new hotel, which doesn’t have a name yet, will include “80-90 rooms with a large food-and-beverage presence on the first floor.” The building is part of a flurry of activity in hospitality development downtown. 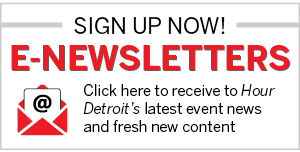 At press time, the former Hotel Pontchartrain nearby was set to reopen in early August as the Crowne Plaza Detroit Downtown Convention Center, and another boutique hotel, Aloft Detroit, is scheduled to open next year in the 1915 David Whitney Building. Kitchen hopes the Aparium location will attract metro Detroiters, as well as visitors. “We’d like locals to feel welcome here, too, to stay the night or just come for happy hour,” he says.